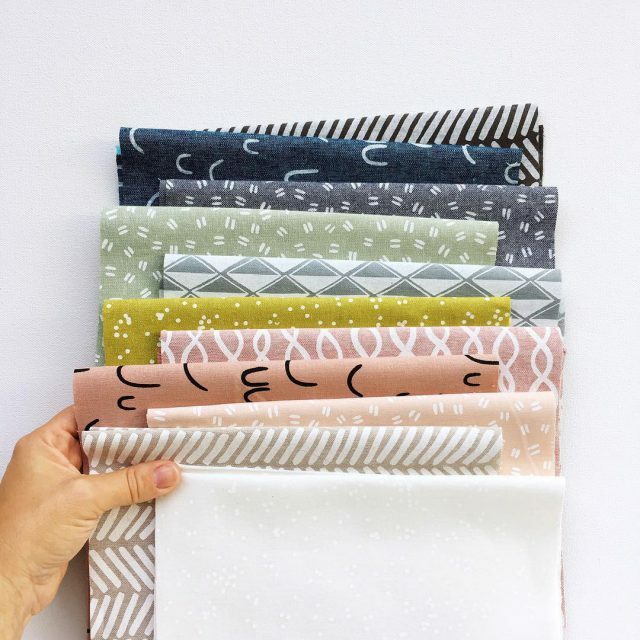 After sharing my favorite fabric retailers last year, I thought it would be helpful to highlight the best online fabric stores, including a few that will be carrying my new collection, Arroyo! 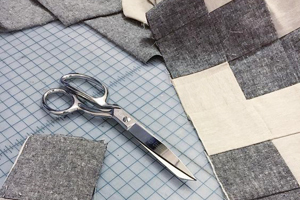 Knowing where to buy fabric online opens the doors to so many DIY projects – everything from reupholstering a chair, to sewing your own throw pillows. You may even be thinking about sewing some holiday gifts! I love to browse through an independent fabric shop – nothing beats the feeling of running your hands over bolts of fabric. 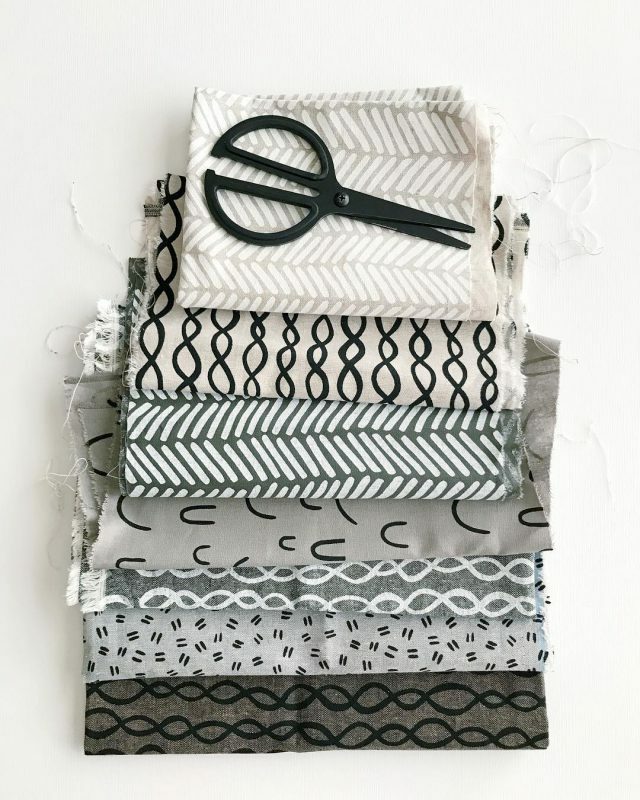 If you can shop for fabric in person, it’s a great way to check the color, weight, and drape, and to discover new fabric designers you’ve never seen before. Unfortunately, many indie fabric stores have closed over the past few years, so many of us don’t have a local fabric shop in our area anymore. If this is the case for you, I’m happy to share my tips and sources to buy fabric online, so you can find beautiful fabrics from anywhere. If you’re not sure where to buy fabric online, I’ve got a list of 17 of my favorite online fabric stores below…. 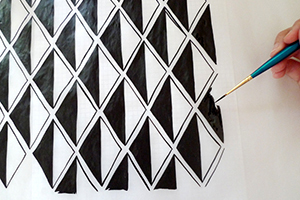 Today I’m happy to highlight a new stockist of Arroyo fabric, Gather Here in Cambridge, MA. 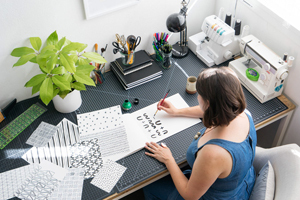 I connected with shop owner Virginia B. Johnson to talk about her vision for Gather Here, and to hear more about her lovely store. Beyond just fabric and notions, Gather Here hosts creative workshops, and has a unique, community feel. 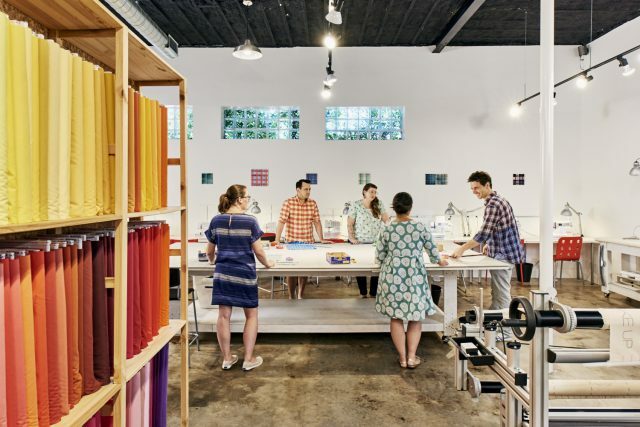 This shop is really something special, and if you live in the Boston area, I hope you’ll stop by and see Arroyo fabrics in person. It’s so exciting to see your Arroyo sewing projects start to appear on social media — thank you so much for sharing your projects with the #ArroyoFabric hashtag. 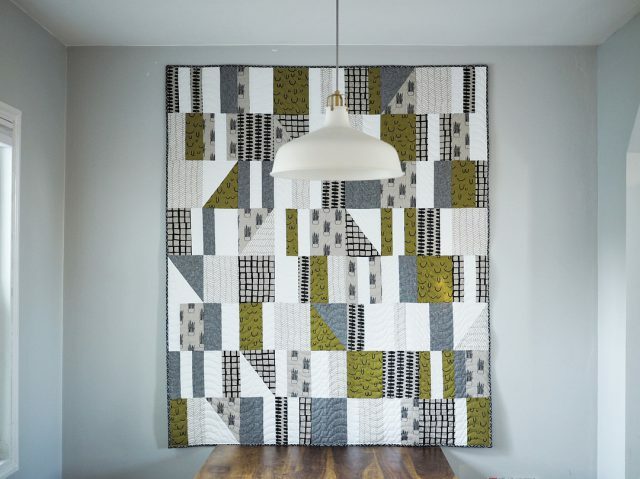 I wanted to share some of my recent favorite projects that have been shared to the feed! If you’re sewing anything with Arroyo, I hope you’ll tag me in the photo on Instagram, Twitter, or Facebook. 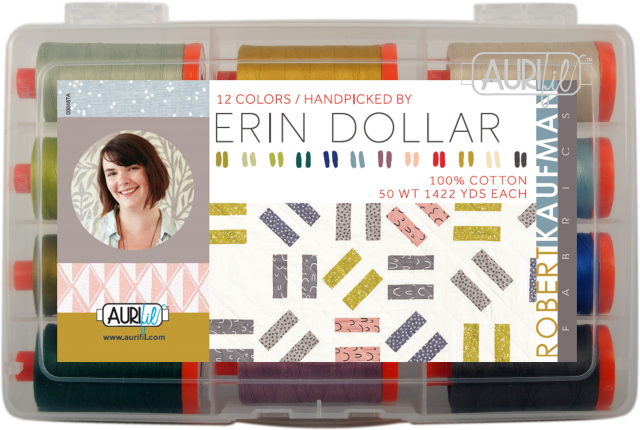 I’m so happy to share another fun collaboration that’s debuting this summer: a thread collection created in collaboration with Aurifil! This box of 12 large spools of 100% cotton thread is perfect for anyone who loves to sew. 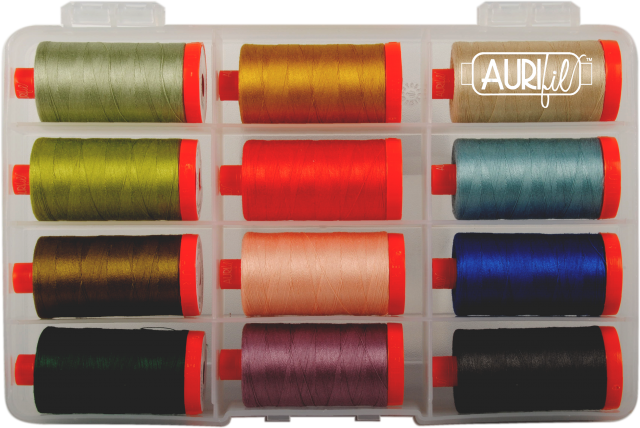 Aurifil’s 50wt thread is great for hand sewing or machine sewing, and you can use it for all sorts of projects, including quilts, bags, and clothing. I chose colors that compliment my new fabric collection, Arroyo, but many of these colors will look familiar from their use in the classic Cotton & Flax products. 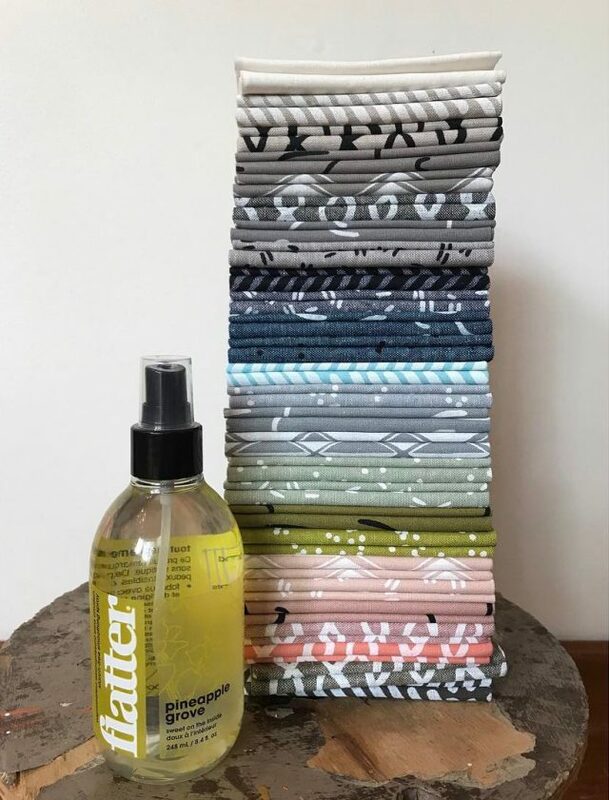 The thread collection is available now, via one of my favorite online fabric shops, Fat Quarter Shop!